It's been a long time since I attended a conference related to computer graphics. My last event was SIGGRAPH 2010. 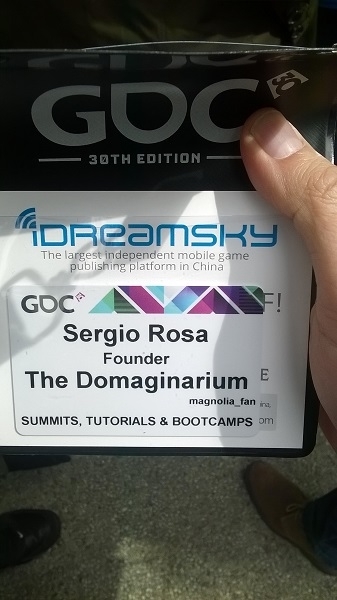 This year, I got the chance to attend GDC, the Game Developers Conference, being held in San Francisco from March 14th to March 18th. 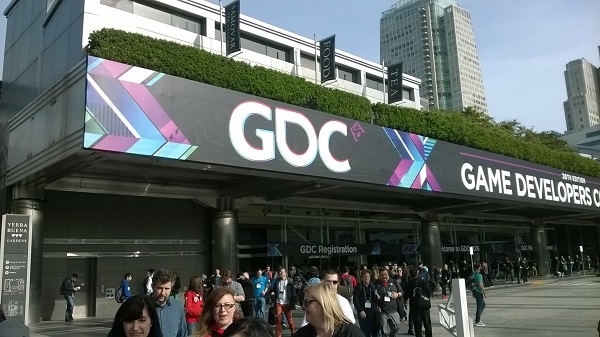 The Game Developers conference is a one-week event aimed to game developers of different sizes and platforms, which means that, unlike SIGGRAPH, it's more focused just on design, writing, programming and marketing of games. During the first 2 days we have different talks related to your specific interests. For example, there's a "narrative" track, where they have different talks related to storytelling in games, "programming" tracks, or "AI" (artificial intelligence) tracks. My main focus for this day (and for the entire event, really) are storytelling and marketing. 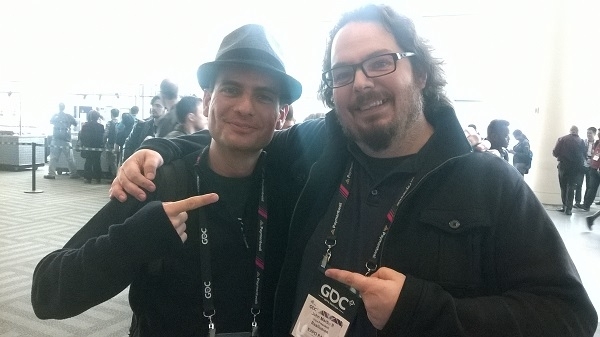 Here at GDC there are a bunch of volunteers that can give you guidance at any time. It reminded me about the student volunteers at SIGGRAPH. I actually asked one of the girls about the whole volunteer thing, and she told me that they fill out a form and then write an essay about why they want to volunteer, and then they choose them based on that. BTW people from any age can volunteer. 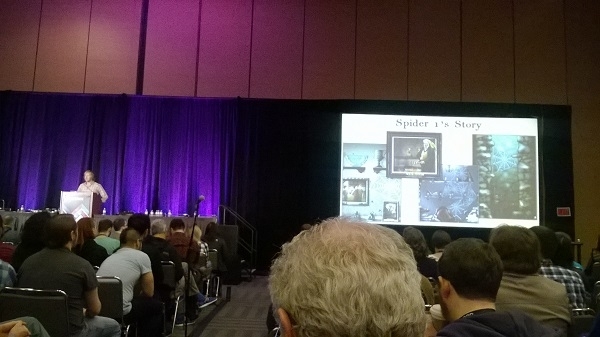 On this first day, I attended 7 talks in total, where they discussed topics about crowdfunding campaigns, managing communities, interactive branching storytelling and using NPCs (non-player characters) with agency of their own. This last one is particularly interesting, since the speaker was telling us how NPCs that seem to make choices of their own are very believable, and take players by surprise. At some point during the day, I ran into John C. Martin II from Reallusion. Reallusion won't have a booth at the event, but they will be hanging around the event. As you may know, they recently released the latest version of their iClone application, and it has a very interesting module called Character Creator. They have also been doing pretty interesting stuff with the Perception Neuron mocap system. Later today I met some Chilean developers who will be exhibiting their games at the expo floor. They said there are around 20 Chilean companies in total exhibiting at GDC this year, and I think that's a pretty good thing, and we even made a joke about how half of the expo floor belongs to Chile, and the rest of the floor belongs to the rest of the companies. Day one was somewhat slow, but pretty busy, with all the different talks. We'll see what the second day has to offer.